The 2016 VMAs are fast approaching, and MTV is getting all of its ducks in a row. The cable network’s secured DJ Khaled as the host, named the Video Vanguard recipient (Rihanna, in case you didn’t already know), and even thrown in a dash of nostalgia with a performance from Britney Spears. And to ensure that things go smoothly this year, MTV’s gone ahead and set aside some time for Kanye West to do whatever the hell he wants. That’s according to TMZ, whose source claims that West will have the run of the stage for four whole minutes, which is enough time for an impromptu performance, or to put together some Ikea furniture in a bid to win over the Swedes. 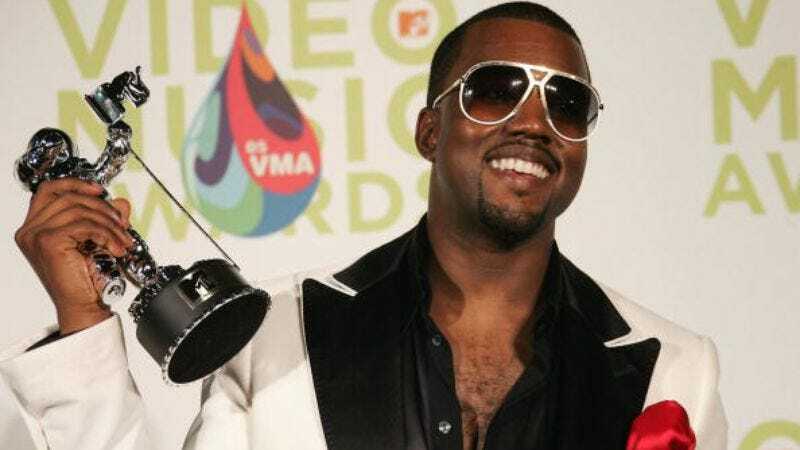 West may have a history of making the awards show about himself and/or Beyoncé, but the last time he had the mic at the VMAs, he talked up his civic duty and his intention to run for president in four years. So perhaps the Life Of Pablo artist will use this time to lay out his platform, or maybe just write an incendiary poem about another fast-food staple. We’d really just like to watch him perform “No More Parties In L.A.,” but if MTV isn’t getting in West’s way, then neither are we.